We’ll explain to you, how to set up reverse SSH tunnel on Linux. Let’s say you have a Linux machine behind NAT and a VPS.You want to SSH to the Linux machine behind NAT from your VPS but you don’t want to bother with port forwarding or your machine behind NAT doesn’t have a static IP address. 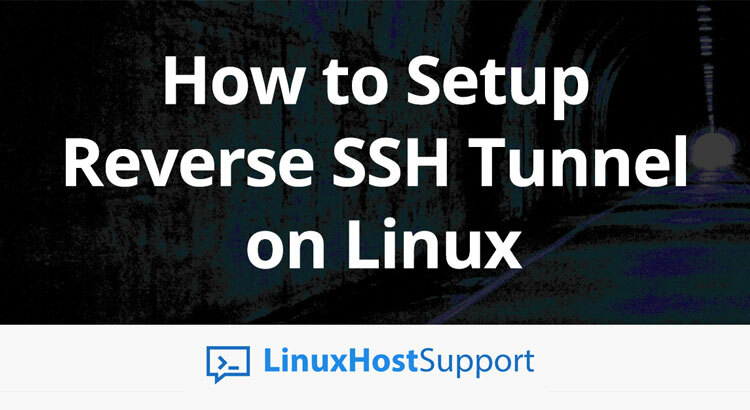 We have an easy solution, in today’s tutorial we are going to learn how to set up a reverse SSH tunnel on Linux. Note: Make sure to substitute the SSH user and IP address in the command above to your own SSH user and IP address. Of course, make sure to replace the value in “–dport” for your preferred port number. The tunnel we created above won’t be persistent and will be dropped if the connection on the Linux machine behind NAT drops, if we want to make our reverse SSH tunnel persistent we need to install autossh. That’s it, now you have successfully set up a reverse SSH tunnel on Linux. Of course, if you use one of our Linux support services, you can always contact and ask our expert Linux admins (via chat or ticket) to set up a reverse SSH tunnel on your Linux VPS for you. They are available 24×7 and will provide information or assistance immediately. PS. If you liked this post on how to use please share it with your friends on the social networks using the buttons below or simply leave a reply. Thanks.